New documentary ‘Make Us Dream’ gives a revealing insight behind the 17-year Liverpool career of Steven Gerrard. Chris Williams was at the premiere on Thursday night. 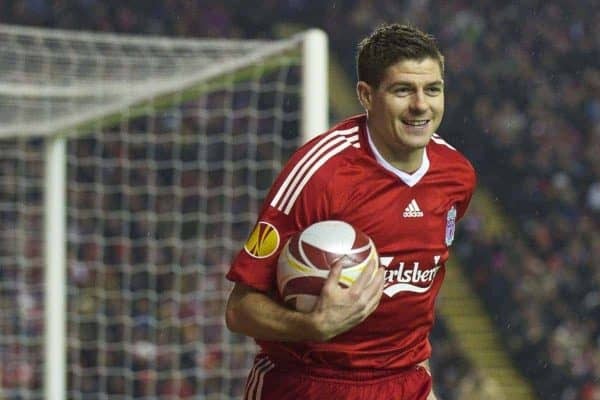 Steven Gerrard’s own words as he narrates a remarkable career against the backdrop of iconic scenes from 18 years in football—all but one of them in red. This is not a ‘feel-good movie’. The journey taken is a dark one that reflects the highest of highs while also probing into the ex-Liverpool captain’s lowest of lows. 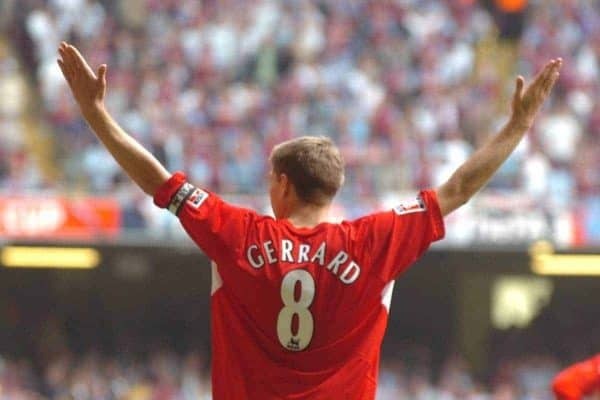 Although, at the end, there is a feeling that Gerrard has unfinished business at Liverpool—a destiny that will eventually lead him back to the hallowed turf at Anfield. His story is one of total commitment to a club he joined at eight years old, but it closely charts just how close the Huyton-born superstar came to joining Chelsea. Liverpool’s standoffish approach almost deprived them of his services, but ultimately it was his personal bond to the club that kept him in red for another 10 years. What is intriguing is Gerrard’s personal journey. From a working-class estate in Liverpool’s suburbs to a Champions League winner, all laid bare for the viewer. Even more insightful is the now-38-year-old’s quest for a Premier League winner’s medal and ‘Make Us Dream’ approaches this head on. It doesn’t shy away from any angle or incident. 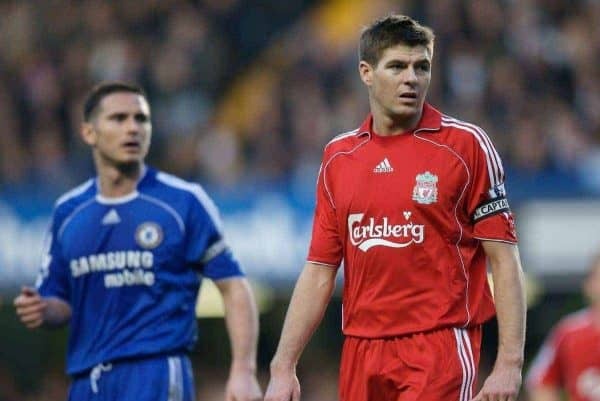 Just how close Gerrard came to joining Chelsea in the summer of 2005 is well known; what isn’t—or wasn’t wide knowledge until now—was the view from the player’s side. “Nine out of 10 people might argue I would have made more money, won more trophies. But them people are not me. Rafa Benitez doesn’t feature in the film for long, but his cameo opens up what Liverpool was like under his leadership, and how the players—especially Gerrard—coped with his coldness. It did open up a question to those watching of how Gerrard would have fared under a manager like Jurgen Klopp; a true man-manager. But for all the craving of nurture the Liverpool No. 8 longed for, there was a feeling that the distance shown by Benitez only fuelled his captain to be better—to drive him forward and show everyone just what he was capable of. One of the underlying themes throughout the film was Gerrard’s burning personal mission to lift Liverpool back to the top, at a time when the club looked incapable of challenging off the field during the tenure of Hicks and Gillett. How the expectation within him—and that of the fans—became an almost unbearable burden that drove Gerrard to take his body to the absolute limit. Encapsulated in its fullness are the hours before that fateful game against Chelsea in 2014, where the Liverpool captain asked for an epidural—as well as a volley of painkillers to see him through. There is no avoidance or skirting around the ‘slip’ or the run-in to the season that almost delivered Gerrard his most-wanted possession. It is presented in all its infamy and especially how it left the player empty. “He didn’t speak afterwards,” wife Alex remarked. As dark as ‘Make Us Dream’ gets it is filled with joyful moments, and not just Istanbul. There is the coming of age surrounded by friends such as Jamie Carragher and Michael Owen as well as early nostalgic glimpses of Gerrard’s talent. Tearing through the midfield as a tender teen, home videos capture the ability that eventually went on to inspire thousands on the terraces and countless more millions around the world. ‘Make Us Dream’ will be available on Amazon Prime from November 23.